The presented room availability, rates and discounts are actual and final for all our 340 hotels in Kefallonia. Beach relaxation and excursions to natural attractions of Kefalonia are considered the main entertainment for travelers. Every town has numerous entertainment facilities, restaurants, night clubs and colorful markets that are traditional for every resort destination. Fans of shopping will be really satisfied. Avithos is one of the largest and most popular beaches of the island. Thanks to its beauty and cleanness, the beach has repeatedly won honorable awards. The beach will become a perfect place for a family vacation. This place is distinguished by ever clear and calm sea, as well as a large selection of sports fields. Makris Gialos is considered the most comfortable beach of the island. It is located several minutes away from the town of Argostoli. The beach is equipped with all the necessary equipment. You will also find several restaurants, shops, children's centers, and sports facilities in its territory. 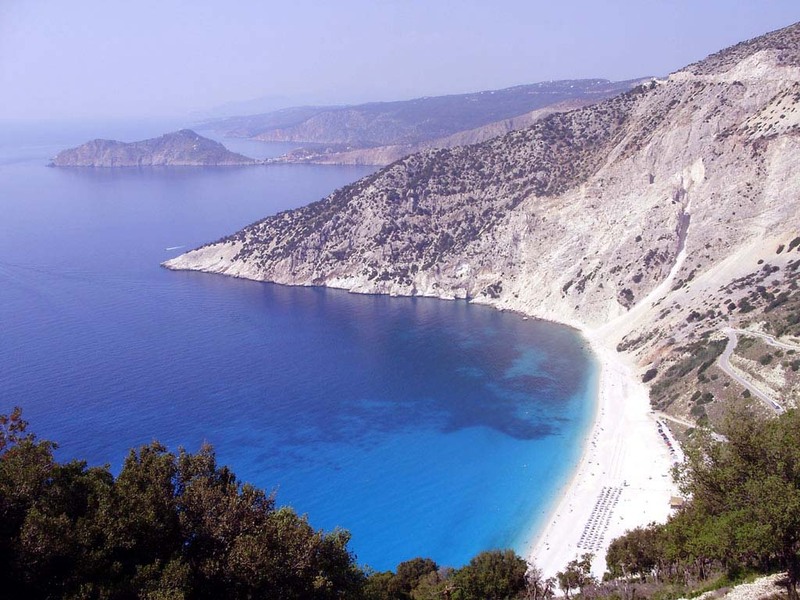 Myrtos Beach is included in the top five of the most beautiful beaches in the world. As it is not hard to guess, tourists will never feel the lack of choice of beautiful beaches here.